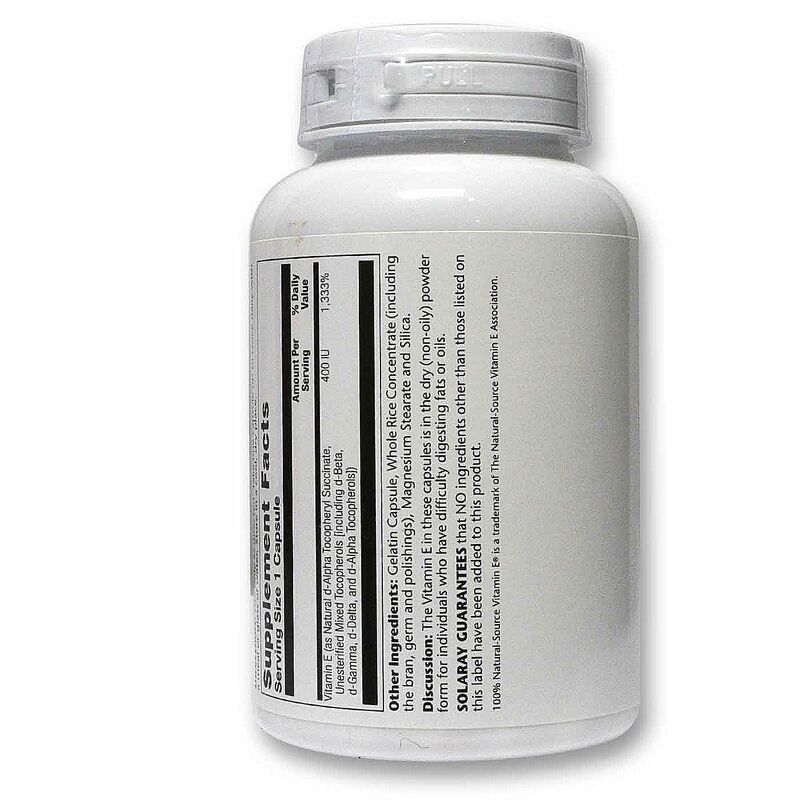 Want the antioxidant benefits of vitamin E without unpleasant digestive side effects? 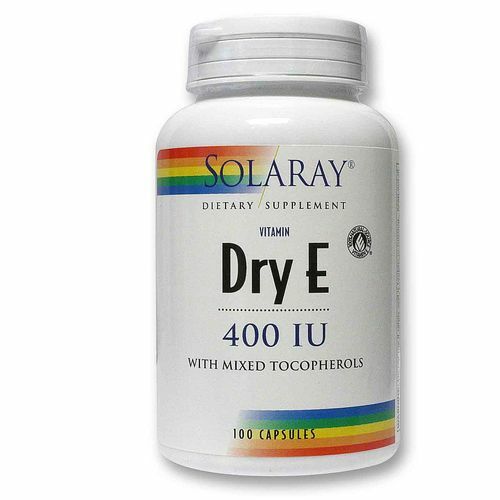 Try Solaray's Dry E 400 IU. Vitamin E is one of the best natural sources for immunity-boosting antioxidant protection. However, many individuals find it difficult to consume this important nutrient in a daily supplement because it's often formulated using oils and fats that can upset the digestive system. Solaray's Dry E 400 IU blends antioxidant-rich tocopherols in a dry, non-oily powder formula. This helps you safely and comfortably reap the many health benefits of vitamin E, including choleterol maintenance, improved heart health and advanced support against free radical damage. 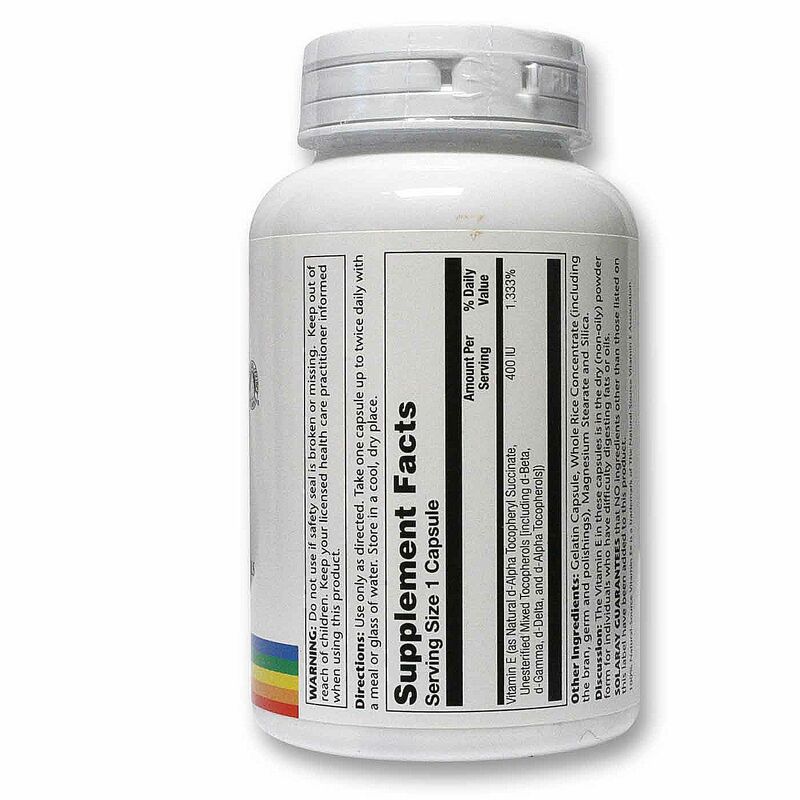 Support your health naturally. Try Dry E 400 IU today at eVitamins. Advertências: Keep out of reach of children. Use only as directed. 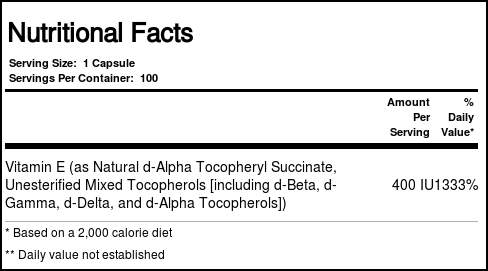 Recomendações de uso: Take one capsule up to twice daily with a meal or glass of water.